It's a little known fact that Halloween is one of my favorite holidays. There is something about the fun childlike decorations and treats with googles eyes that get me. Plus, what's not to love about going door to door and people handing you out FREE candy?! 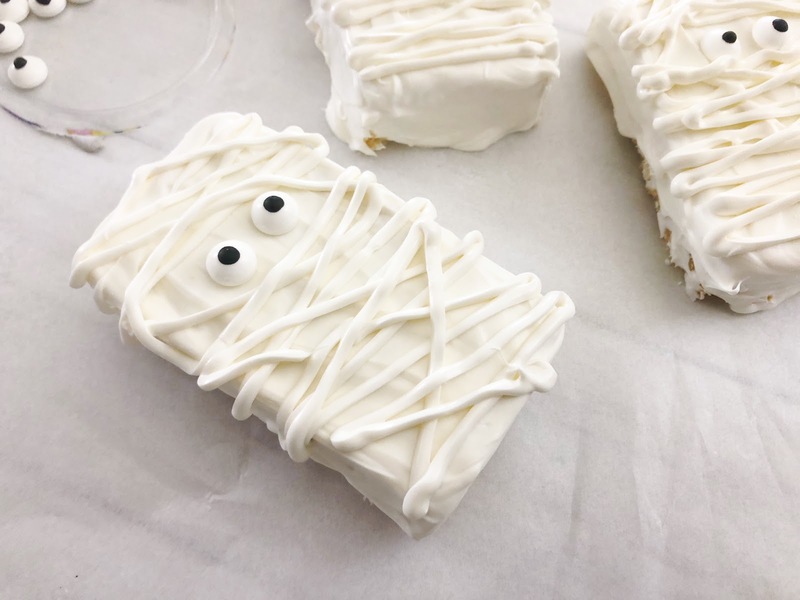 I think you will love this Halloween twist on the old rice krispy treat favorite. 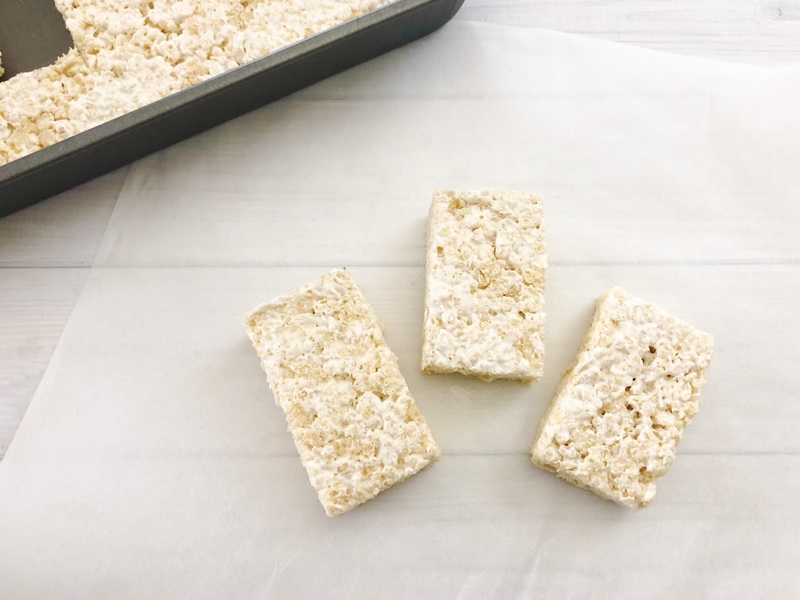 Why not whip up some mummy rice krispy treats for an after school snack this afternoon? I bet your kids will love them. 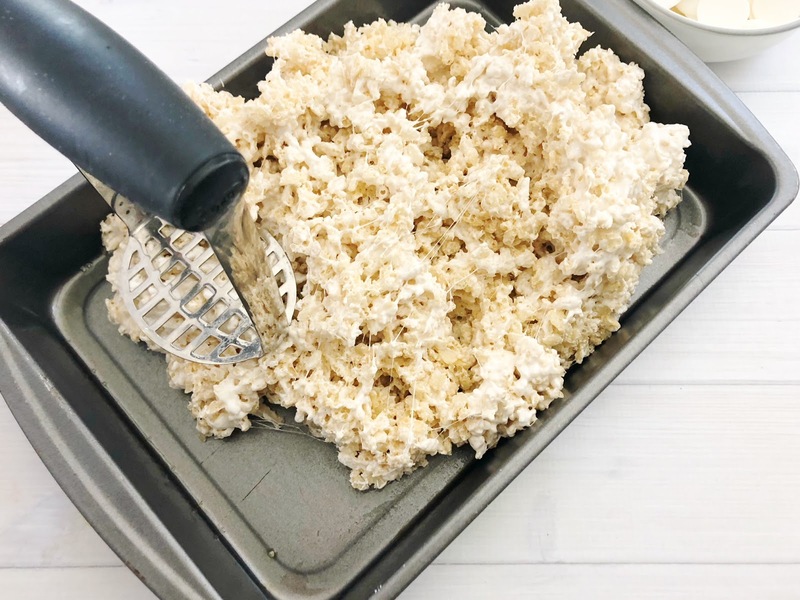 I have fond memories of my mom whipping up a fresh batch of Rice Krispy treats for an after school snack. The ingredients are simple, heck, you may have everything you need on hand. Except maybe the eyeballs. You can order those here. 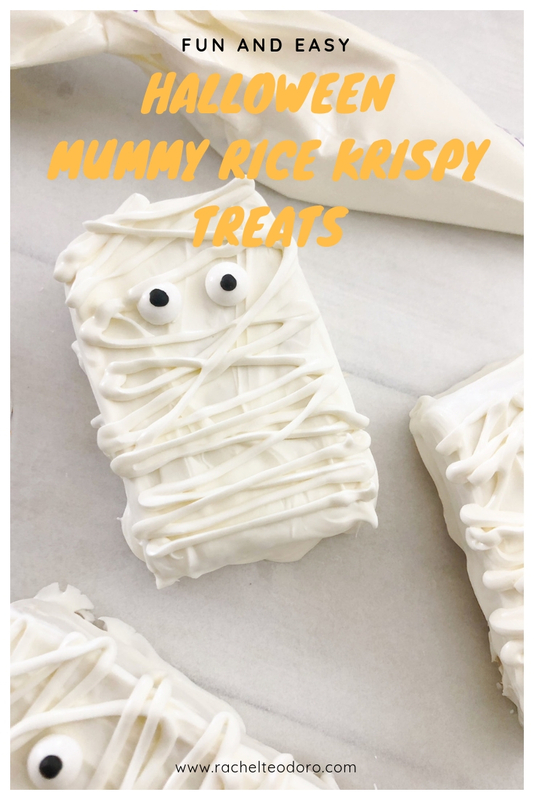 Fun Halloween themed mummy Rice Krispy treats everyone will enjoy! 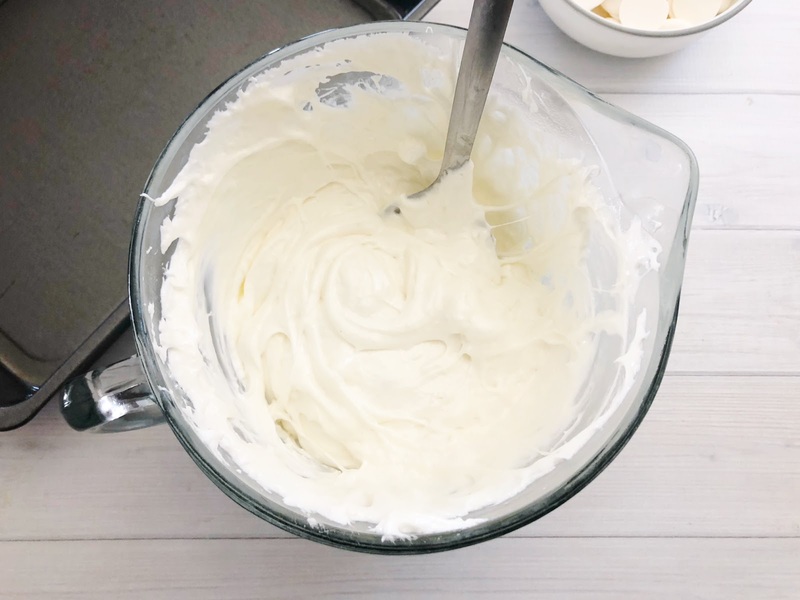 Grease a 9x13" baking pan and press your marshmallow mixture into your pan firmly. Let set for a few hours and cut into small rectangles. In a large microwave safe bowl, heat your candy melts on 50% power for 4 to 5 minutes, stirring every 30 seconds until melted. 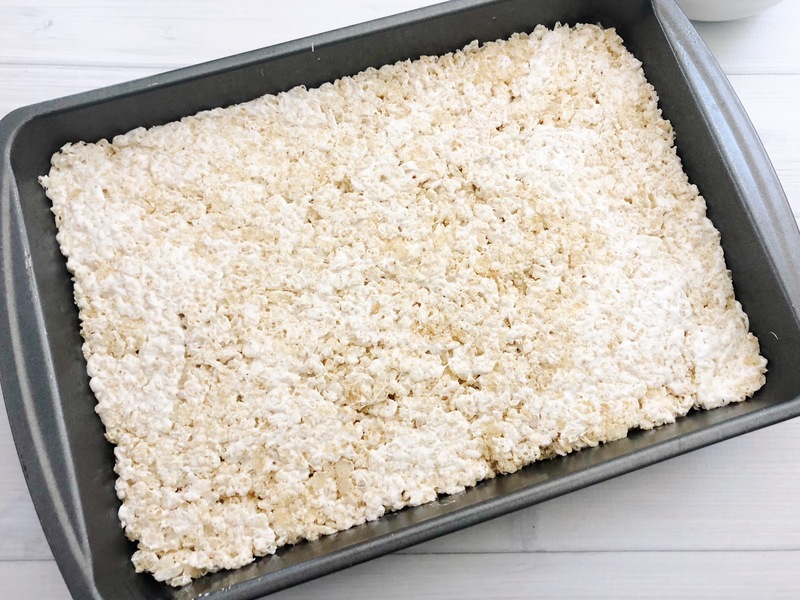 Lay out a piece of parchment paper and carefully dunk the top of each Rice Krispies treat into your melted chocolate and smooth the chocolate on top and on the sides. Transfer to the freezer for 15 minutes, fill up a decorating bag with the remaining chocolate and cut a small tip off the end of the bag. 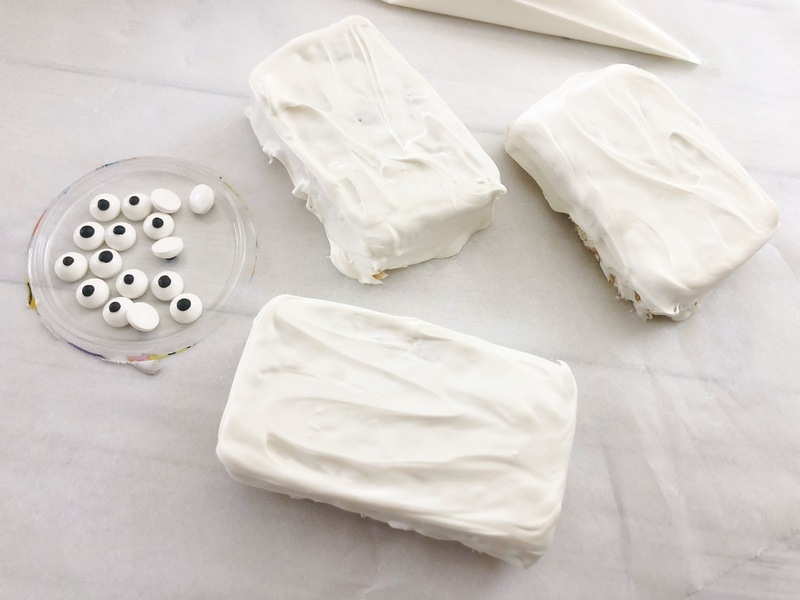 Dab a small amount of melted chocolate on the back of two candy eyes and carefully press them onto your white chocolate covered rice crispy treat towards the top half. 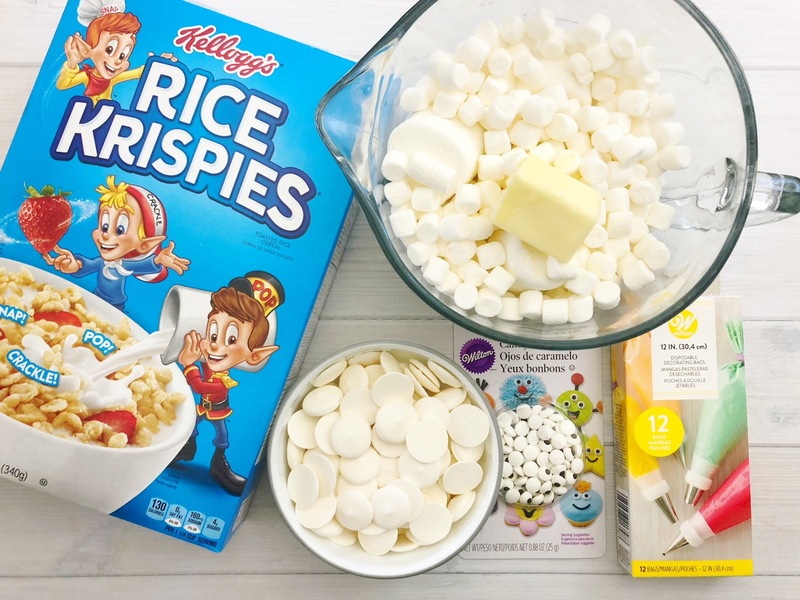 Use your decorating bag to draw several lines back-and-forth across the top of your Rice Krispies treat, let harden and enjoy! Something like this potato masher will help you get the Rice Krispies Treat spread out firmly in your pan. The key to getting the perfect cut in your Rice Krispies is to let them cool for a few hours. Patience my friends! I really like using these candy melts, but you can usually find them on sale much cheaper at Michael's or Joann's. 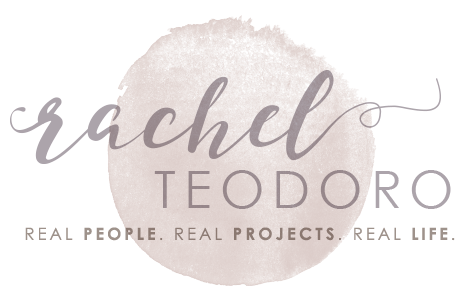 If you don't have a piping bag, this is a good kit for under $10 that can get you started with tips, bags and everything! 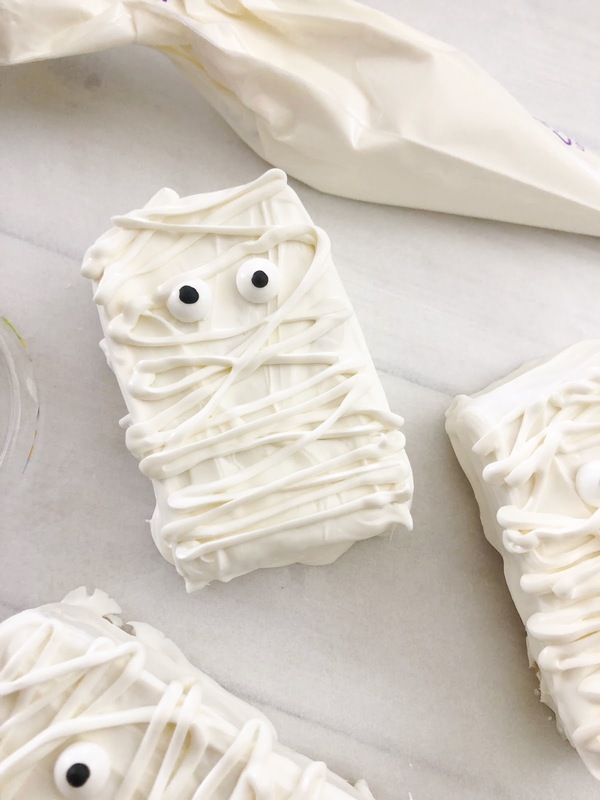 These treat bags would be a great way to hand out these adorable Mummy Rice Krispies snacks. Share this fun twist on an old classic with your friends. This would be the perfect treat for your Halloween party! 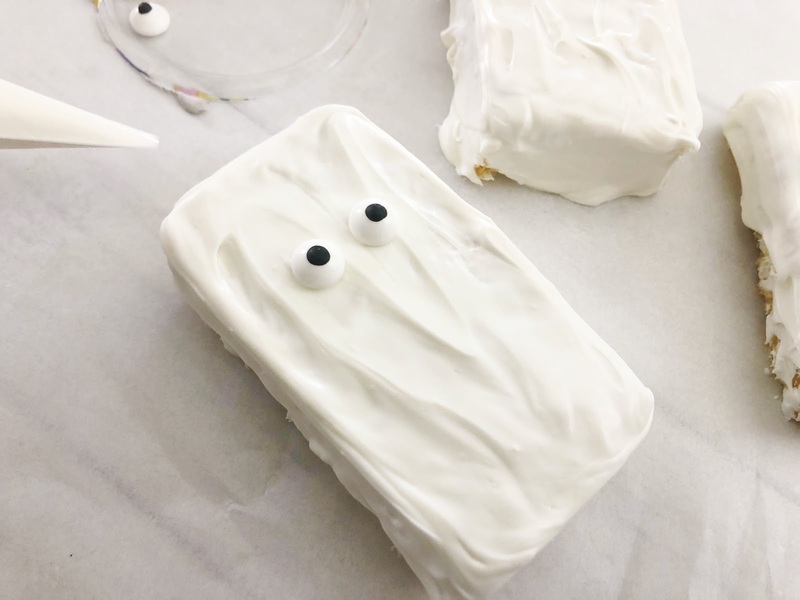 Omg!These are so cute!I will definitely be making them this month. 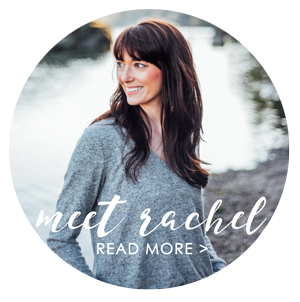 Easy Meal Planning While at the Grocery Store!